– recognition practices are gendered, i.e. we perform gender in our ways of conferring and receiving recognition, constructing what recognition may mean in different local/cultural contexts, constructing when it is to be conferred/received or not, and constructing how it is appropriately played out how in social interaction. 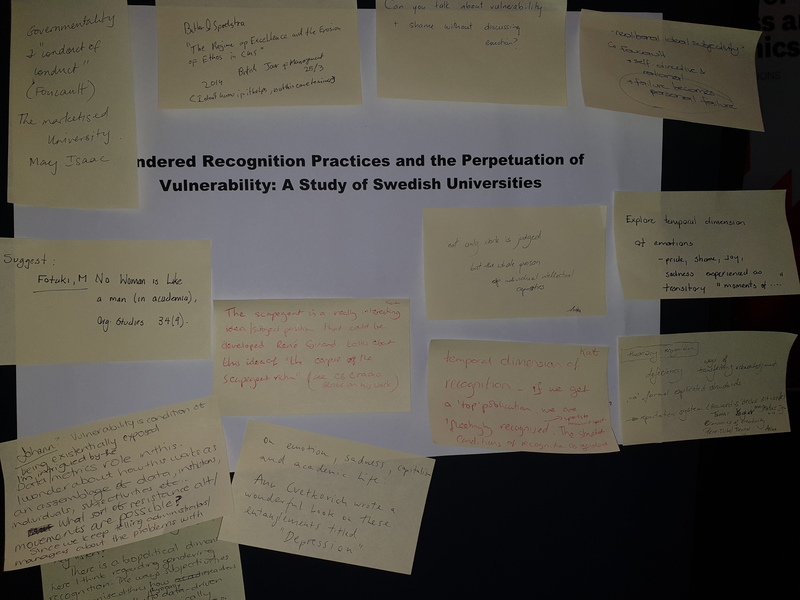 – recognition practices tend to sustain vulnerability among academics, but in different ways for men and women.